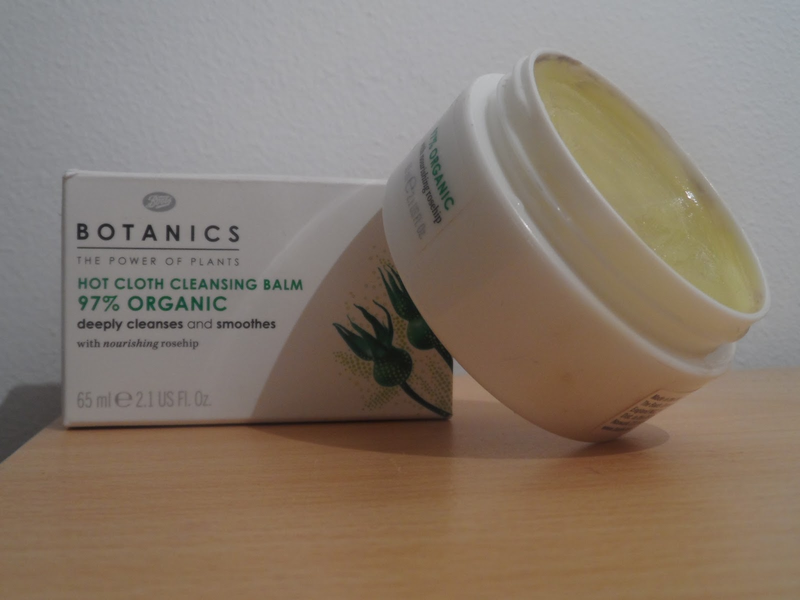 I recently tried this cleansing balm from Boots own brand, Botanics. The product itself has received countless reviews, but with just as many negative ones as there is positive. Cleansing balms are great for getting rid of the 'clogged' feeling you get with your skin after using countless products on it. Since Botanics re branded, the formulation of the balm has changed, and it is for this reason that I decided to review it. To use the balm, you take a small amount and work it into your dry face in upward strokes. Then, you take the cloth that it comes with, soak it in hot water, and then remove the product from your face. After this, soak the same cloth in cold water, and compress the cloth on the face to close pores. It left my skin feeling extremely clean and nourished, and it is great for combination skin-just like mine. The balm however does leave a slight film behind, however I just use a facial scrub afterwards to get rid of it. The smell is divine, and I haven't broken out after using the product. I really do recommend the product, as I have enjoyed using it and the results have been great. This product is definitely one of those cheap but brilliant drug store buys. I read about this on Lily Melrose's blog and Im interested :) SEeing it again here on your blog - i might just buy! :) Thanks for shairng!